Delays and price hikes have plagued the Army's XM25 launcher acquisition, but a major program decision could come as early as the end of the calendar year. A Defense Department Inspector General's Office report outlining some of the program's failings advises the Army's assistant secretary of acquisitions, logistics and technology to "proceed with or cancel" the program "after reviewing the results of the 2016 Governmental testing," which the report says could wrap up by November. That major decision would come after six years without a program milestone, according to the report. That doesn't mean nothing's happened: The launcher malfunctioned at least three times during field tests in Afghanistan -- once each in 2011, 2012 and 2013. The report blames those malfunctions on inadequate training. The weapon was pulled from the war zone after the 2013 incident, according to a Military.com report, which outlined other issues raised by Army Rangers about the XM25's weight (14 pounds) and limited capacity (five 25mm grenade rounds). The XM25, known as the "Punisher," is designed to allow users to control the detonation point of its explosive rounds, letting soldiers engage with targets behind walls, for instance, or in other places where traditional line-of-sight weapons would prove inadequate. A 2013 memo from the commanding general of the Maneuver Center of Excellence raised concerns similar to those put forward by the Rangers, especially regarding a perceived drop in war-fighting capacity if a soldier turns in his rifle to carry the launcher. The officer's name is not provided in the report, but then-Maj. Gen. H.R. McMaster led the MCoE from mid-2012 into 2014. The XM25 program has been delayed five years, but a major decision could come on the launcher by the end of 2016. The MCoE report suggested a new, lower procurement figure, one that Army officials said "would have increased the average unit cost of the XM25 to an unaffordable amount," according to the IG. 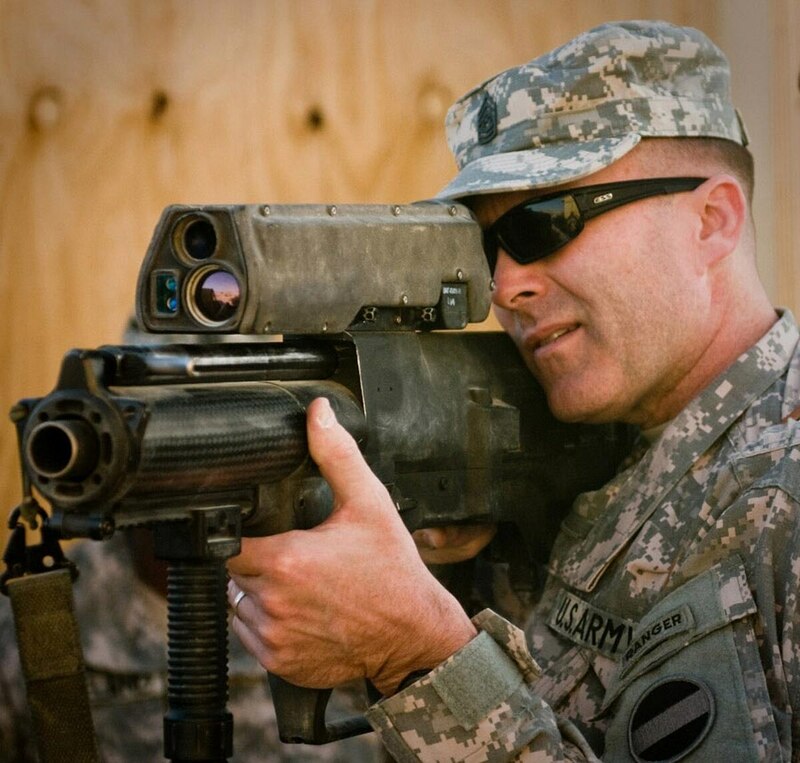 But a 2015 report, compiled after Program Manager-Individual Weapons officials spoke with the Army's seven other centers of excellence about expanding the XM25's fielding, recommended ordering so many launchers that the same Army officials again said it would be "unaffordable." The Army has not released a decision on a final fielding figure. Charts outlining such proposals were redacted from the DoD IG report, as were all figures dealing with program costs. One passage, for example, notes that as "a result of the weapon malfunction and the [redacted], Army officials extended the development effort and XM25 [research, development, test and evaluation] costs have increased from [redacted] to [redacted] between February 2013 and March 2016 -- a [redacted] increase." One hint: The Army reclassified the program under Acquisition Category II after the IG's 2014 report, meaning its total costs are expected to top $835 million or its development costs will top $185 million, or both. It previously was an ACAT III program, putting it below those figures. ACAT II programs can range up to $2.79 billion. 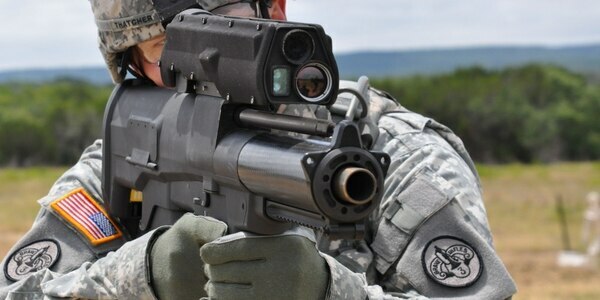 The Army agreed with the report's recommendation to make an XM25 decision after the current round of testing. Officials partially agreed or disagreed with some of the other recommendations, which primarily involved the maintenance of supporting documentation for procurement decisions. Army officials did not immediately respond to a request for further comment about the report, including confirmation that some of the program assessments and briefings regarding the XM25 scheduled for mid-August had been completed. The program's initial production decision has been delayed five years, per the report, with an original date of early fiscal 2012. The XM25's development began in 2000 as part of the Objective Individual Combat Weapon program, which was cancelled in 2005.